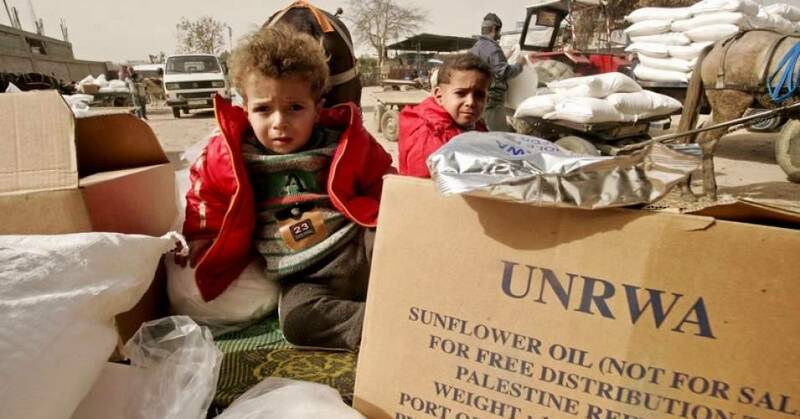 The U.S. administration announced it would only provide $65 million in aid to the UN Relief and Works Agency for Palestinian Refugees in the Near East (UNRWA), instead of last year’s $125 million in January. Humanitarian agency, UNRWA, actively provides relief and educational and healthcare services to over 5 million Palestinian refugees. Funded solely by the donations of participating UN nations, the U.S. being an extremely critical and the largest donator, UNRWA depends heavily on the voluntary aid of other countries. Consequently, president Donald Trump’s decision to cut aid will have disastrous effects on Palestinian refugees and, understandably, refugees are worried. Yet, refugees aren’t only concerned for the drastic budget cut, which will undoubtedly lead to a loss of already-limited UNRWA services, they’re also fearful for what Trump’s current foreign policies might mean for the future of their people. Clearly evident is the pro-Israel turn U.S. policy has taken in regard to the Palestinian refugee crisis under Trump’s administration and this stance is only strengthening. As a result of recent U.S. foreign policy, Palestinians are expressing deep concern for the financial blow to UNRWA, their lifeline for the past 70 years, and what’s likely to be a dismal future. It’s important to note, however, that Trump’s attitude towards Palestinian refugees resembles that of previous presidential administrations, albeit Trump’s policies are more aggressive and drastic than ever before. Indeed, Trump’s policies are a continuation of his predecessors who recognized that the only feasible solution to the Palestinian refugee crisis is permanent settlement in the future state of Palestine. But, what is unprecedented is Trump’s budget cut – which will only further deepen the refugee crisis in Palestine. What’s worse is that such a highly-significant, diplomatic decision was provoked by what Trump tweeted as, “no appreciation or respect” from Palestinian refugees. Indeed, after declaring Jerusalem as Israel’s capital and subsequently facing international outcry, Trump proceeded to threaten to cut financial aid to UNRWA. But, this decision comes with calamitous consequences, not only on Palestinians but on the refugee crises as well. Ultimately, these astronomical budget cuts will force UNRWA to cease the services they once offered. The effects on educational services will be the most immediate, followed by a spike in unemployment percentages (Thousands of Palestinians maintain a livelihood by receiving UNRWA loans), and over one million refugees will lack food and other basic necessities. There’s no telling how such drastic and unplanned changes could affect the unstable region of the Middle East. Indeed, the effects would be immeasurable. The already precarious situation for Palestinian refugees would burden neighboring countries, including the Israeli government and invite further conflict and even war. The crises in Israel would certainly worsen as would America’s diplomatic relations with various countries in the Middle East. Donate to UNRWA:The UN-sponsored, humanitarian organization works tirelessly to support more than 5 million Palestinian refugees. Given its new budget, UNRWA will now depend more than ever on individual donations to continue assisting refugees in Israel. Their website can be found here. Join the #DignityisPriceless Campaign: Launched by UNRWA, this campaign is designed to protect and maintain the dignity of Palestinian refugees. Refugees deserve our solidarity and support. Use the campaign hashtags to spread the word on social media. Join now! When Israel gave Gaza to the Palestinians they left behind a thriving greenhouse business complete with a customer list and the functioning greenhouses full of plants. All they had to do was step through the doors and take over. Instead they rampaged through the greenhouses, destroyed every last one of the plants then demolished every last one of the greenhouses. UNRWA? It gave Abbas the money to build himself a palace out of the eternal refugee funds; then when it was completed and word leaked of the extravagance, he “donated” it as a museum to the “desperate” eternal refugees of Gaza, the makeover of which was more costly than it would have been to turn it into a school or clinic. A short while ago AFTER the $60million cut in the US funds, UNRWA granted Abbas a whopping $50million to buy himself his own personal jet. Abbas just recently RAISED taxes on Gaza, CUT electricity (they only got around 2 hours per day) and placed SANCTIONS on them to CUT supplies and food. He is trying to force Hamas to agree to the terms of his PA government. In the meantime, the reason there is so little electricity going to the people right now is because most of it is being diverted to the construction areas of the underground terror tunnels. If you have never seen photos of these tunnels you educate yourself. And your article has left out the reason for the cut in the funds… that Palestine uses millions of the UNRWA money to pay terrorists to kill Jews. If the terrorist is captured alive and imprisoned both he and his family receive a hefty salary; if the terrorist is killed, his family receives the salary. “Pay to Slay.” Slit the throats of two month old babies sleeping in their cribs; toddlers in their beds; twelve year old children using knives to walk up to other children their age and stab them in the gut; fourteen year old teens throwing rocks into the windshields of vehicles driven by pregnant mothers, father with children in the car, causing them to wreck and killing them; ramming vehicles into people waiting at a bus terminal, killing grandfathers, grandmothers, children, babies; breaking into a home as a family sits down to eat, savagely stabbing and killing the entire family; walking up to a border guard who has been a friend (he thought) for two years, and stabbing him in the gut as you smile into his eyes. American money paid for these killers to do this. We want it to stop. Again, UNRWA.. well, it exists solely to funnel money to Palestine and Abbas, the PA. It is foolish to think the UNRWA board members whose jobs depend on the eternal refugees and who are giving,, over the decades, billions to line the pocket of Abbas and his uber wealthy life style, aren’t getting their cut of the pie. Does HE look like he’s ever missed a meal? He cries about “his” people missing their $60million when he buys a $50million jet.. a PERSONAL jet… out of THEIR charity money? This jet isn’t for the PA to keep when Abbas leaves his position if he ever does. It is his personal property. $50million for the jet, salary for pilot and other personnel, fuel, food and other amenities.. yeah, UNRWA sure needs SOMEBODY to hurry up and kick in those dollars.